Create new business opportunities. There’s opportunity for both underwriters and policyholders to arrive at increasingly accurate prices using big data analytics. Provide substantial business value. Insurers use big data analytics to generate new revenue, improve customer retention, and reduce risks for their customers. But given the industry’s slow acceptance, how does BDA help insurers face and solve business challenges? Changing customer attitudes. The collection and use of massive data sets threaten to change insurers’ reputation from being aloof to Big Brother. Differentiating themselves. As insurance becomes more of a commodity, companies must differentiate themselves through low cost structures, greater efficiency and improved customer satisfaction. Big data analysis provides new ways to make services more attractive to customers and maintain regulatory compliance standards. Meet changing customer preferences. Customers want simpler, easier-to-understand products. Predictive insurance analytics makes it easier to understand likely customer behavior and what they think is most important in their products. Identify and minimize fraud. Predictive analytics can also play an important role in addressing increasing losses due to fraudulent claims. Companies can use internal data sources and unstructured data to identify likely fraudsters and bogus claims. …and Innovations in Analytics Help Them Do It. Analytics methods and technologies support several innovative approaches that address insurers’ challenges. Virtual Privacy Expert™ is an on-demand online privacy application. It’s designed for coverage carriers looking for online privacy tools. Companies use VPE to assess their security situation and design their own privacy and security policies and an incident response plan. VPE includes a proprietary risk assessment application that analyzes a company’s risk, customizable privacy and security policies, and a data breach incident response plan. Additionally, the Virtual Privacy Expert provides direct access to privacy experts. Usage-based insurance. UBI is a type of vehicle insurance, in which pricing depends on driver performance and other metrics. These include the type of vehicle, the time and distance driven, driver behavior and geographical location. Describe public opinion related to specific products or services. Discover what drives customer opinion. Discover and describe particular cases of a specific issue. Group topics or key content described in specific text. Text analytics accelerates the process of finding and using diverse types of information, no matter how large the data set might be. Data visualization tools. Data visualization and exploration tools, such as TIBCO Spotfire and Tableau, have been available for years. But now, they are emerging quickly in the insurance analytics space. Companies are combining KPIs, metrics and images from different data streams, routing them onto a single dashboard and using them to make complex data easy for non-technical specialists to understand and use. This provides insights that weren’t possible by using single-dimension, standard reporting methods. 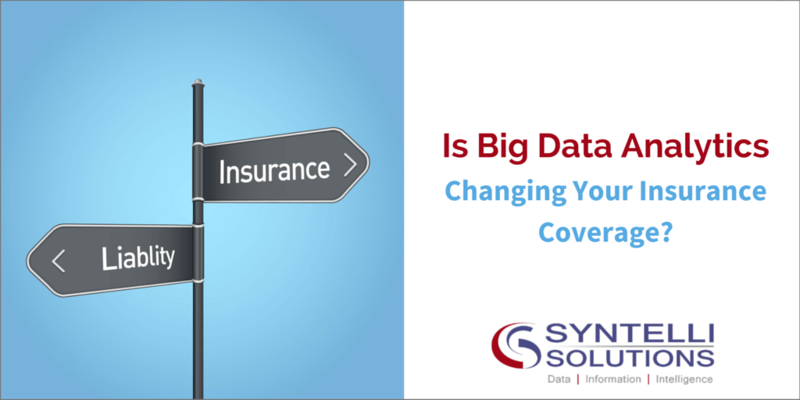 Syntelli consultants have extensive experience with helping insurance companies achieve a competitive advantage by embracing analytics. Contact us today for more information or request a demo of Syntelli services! 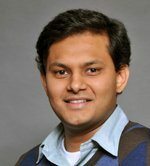 Mohana holds an MBA in Marketing, Managerial Analytics and Finance from Kellogg School of Management. He lives in Charlotte with his family.